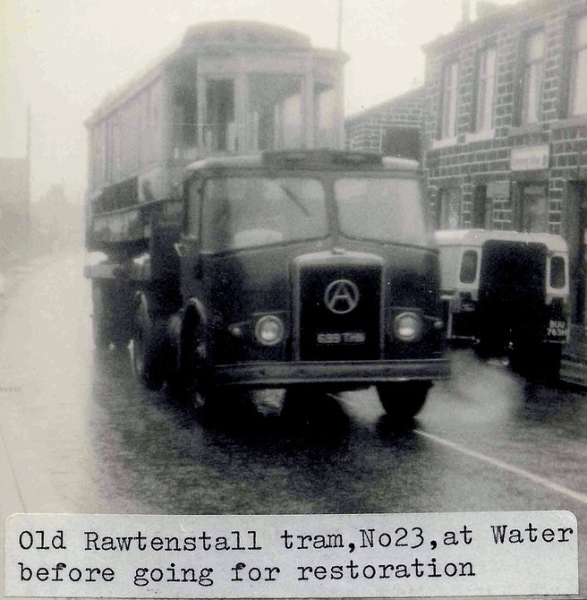 Rawtenstall 23 is a single deck 4-wheeled tram dating from 1912. 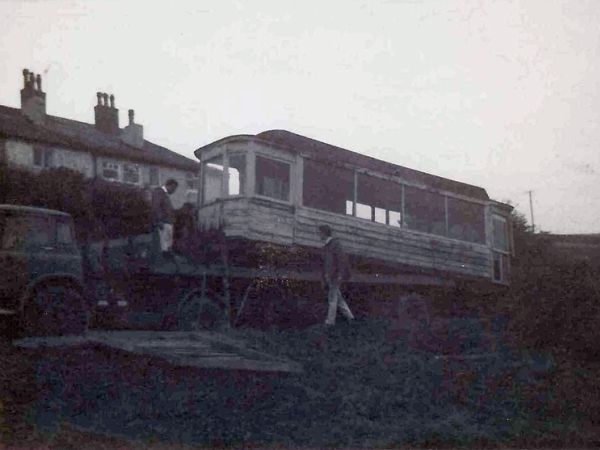 It operated until withdrawal in 1932. 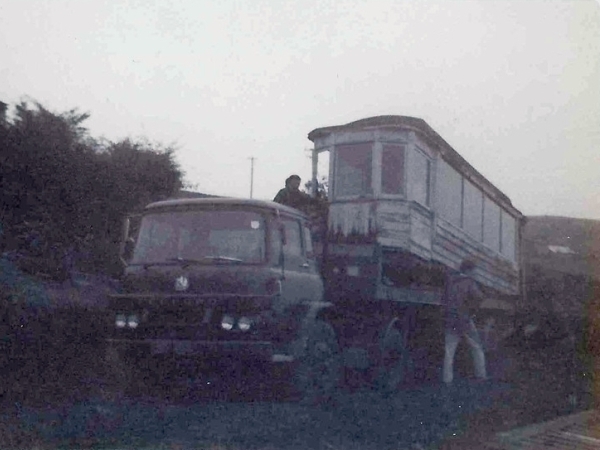 The following black and white photographs are shown courtesy of Peter Fisher. 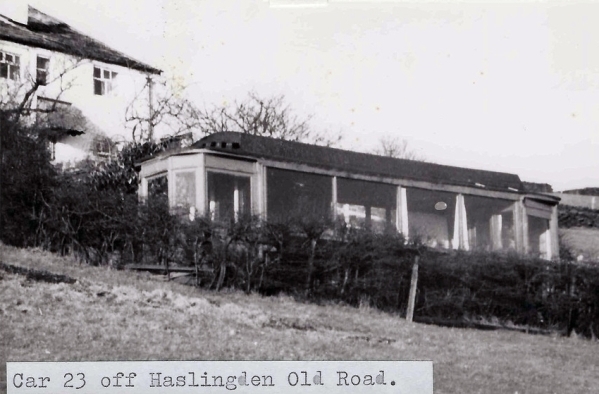 You can see more of his historical photographs here. 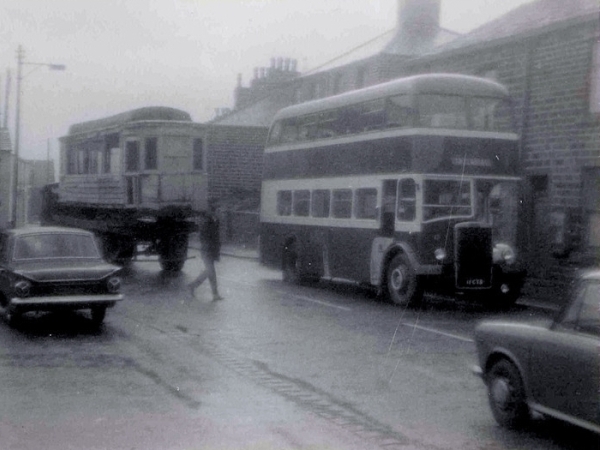 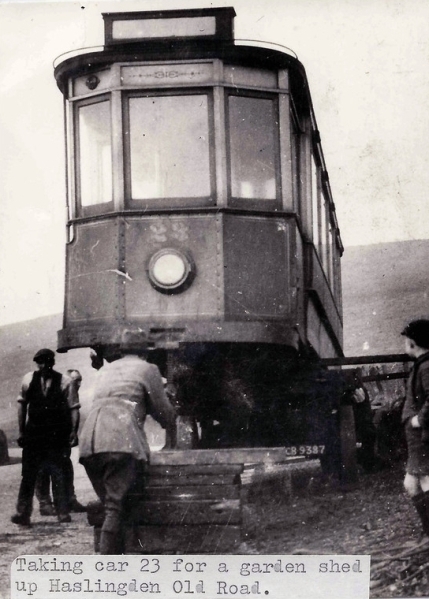 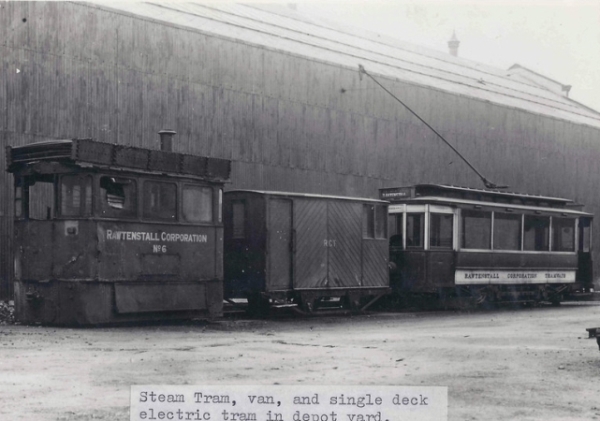 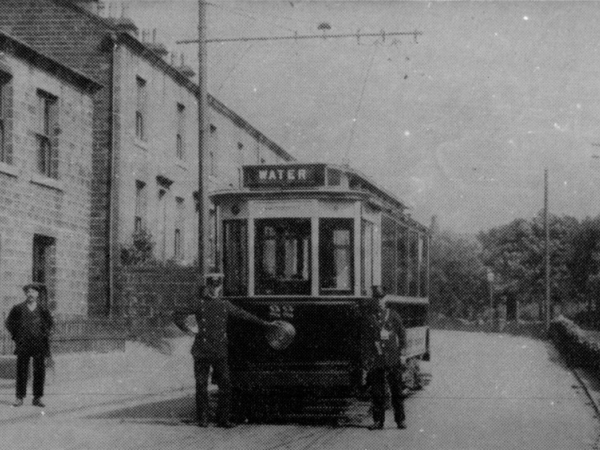 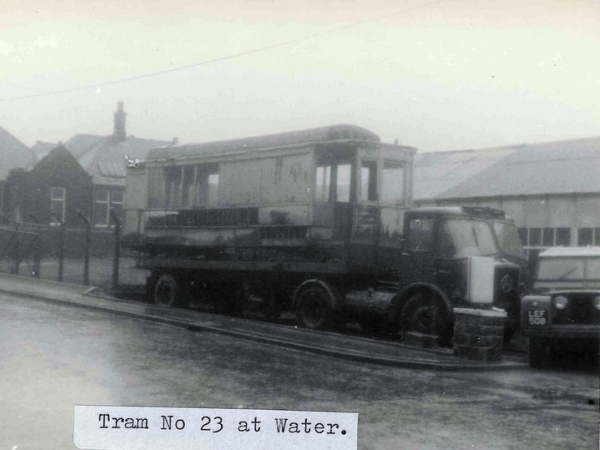 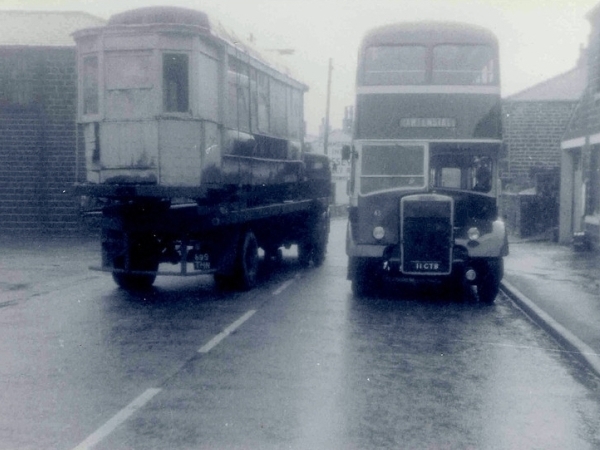 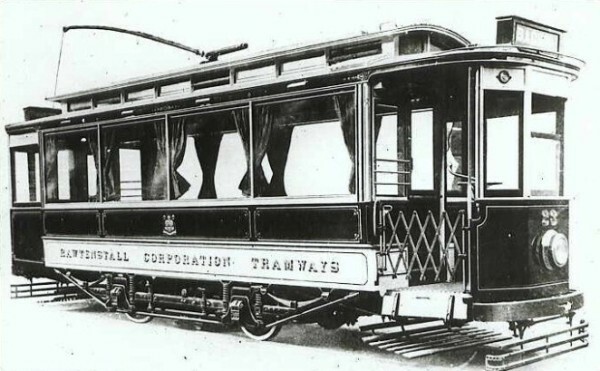 A view of a Rawtenstall single deck tram with a steam tram. 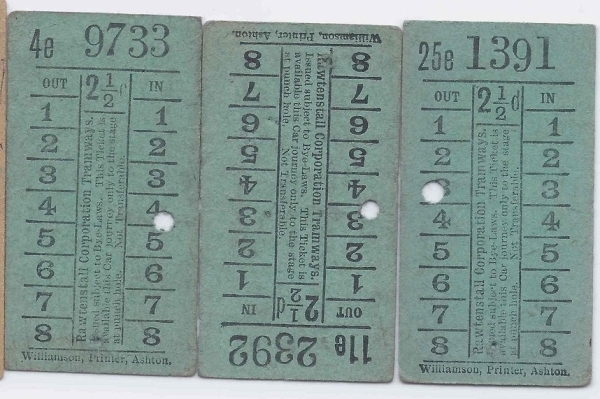 A set of Rawtenstall tram tickets. 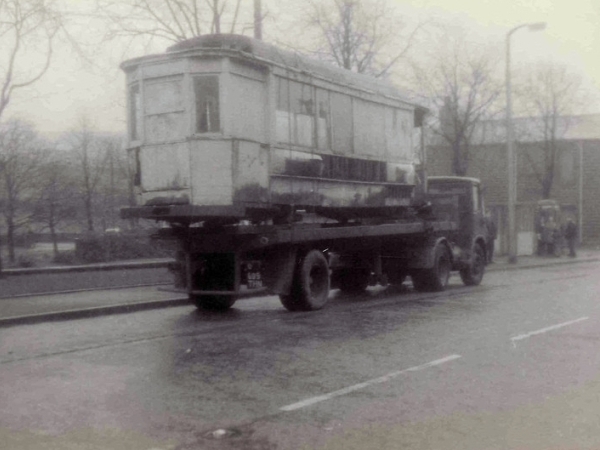 A few views of 23 being moved to a garden after withdrawal. 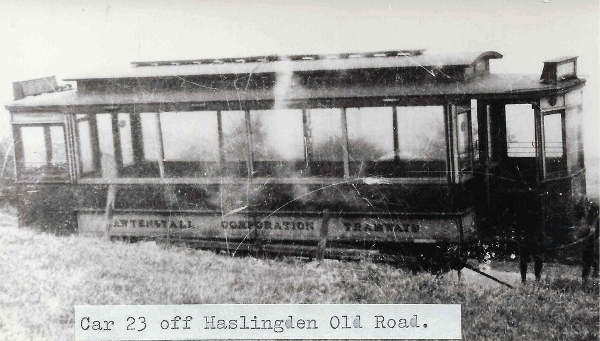 23 was later removed for preservation. 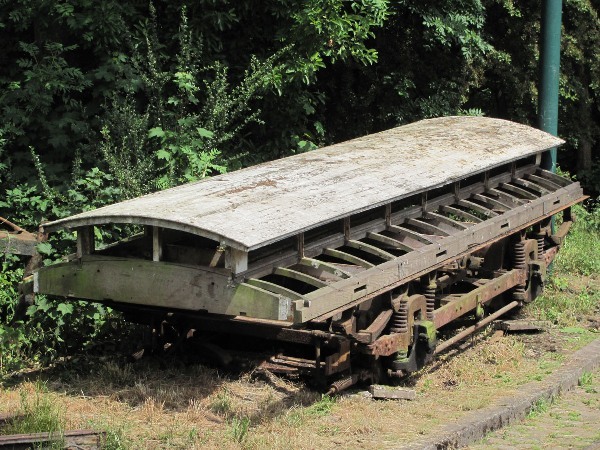 The tram is currently in ‘kit form’ awaiting restoration. 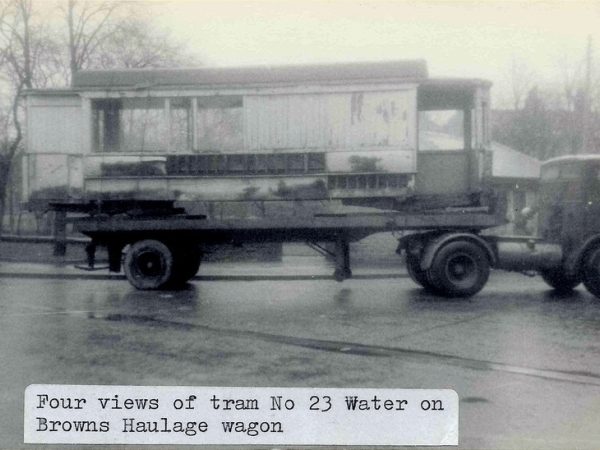 23’s truck and roof were transferred from storage off site to Heaton Park in 2010. 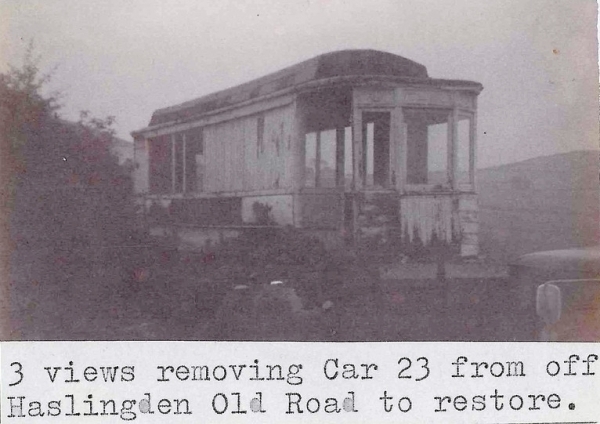 23 is a future restoration project.